S M Ong: Teetotaller: Liquor Control Bill? What Liquor Control Bill? Teetotaller: Liquor Control Bill? What Liquor Control Bill? Wait, is it past 10.30pm? Are we in a public place? No problem. We can drink in the morning after 7am on the way to work on the train. Aiyah! No drinking allowed on the train. Wait, why do I care? The new proposed curbs won’t affect me. I have a built-in 24-hour biological curb — whenever I drink alcohol, I break out in hives. And it doesn’t matter if I’m nowhere near Geylang or Little India. Yes, I’m allergic to alcohol — but even if I weren’t, I would still be a teetotaller. I just never acquired the taste. So if Bill Cosby wants to get into my pants, he has to spike my teh terik. Or just ask. I’m easy. 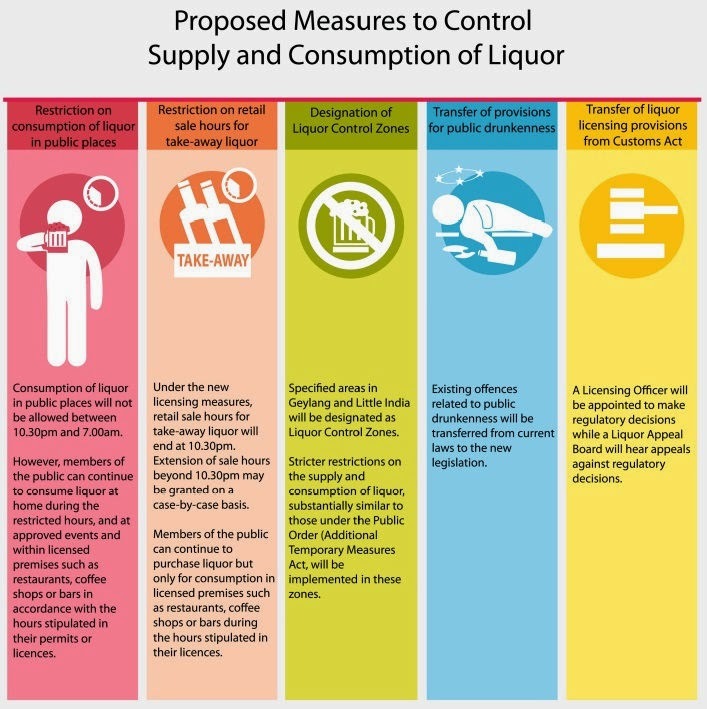 But to all you drinkers dismayed by the Liquor Control Bill, instead of drowning your sorrows in the bottle, why not go the other way and quit drinking altogether? And coincidentally, this month is Dry-nuary. You can take it as an opportunity to turn away the devil’s water and discover the joys of teetotalism like I have. And I’m not alone. Iron Man star Robert Downey Jr, football idol Cristiano Ronaldo and supermodel Naomi Campbell are all on the wagon. And supposedly, so was Adolf Hitler, but let’s not hold that against teetotalism. So come to the dry side — heil, abstinence! 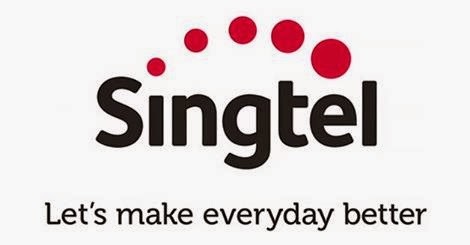 If the folks at Singtel had laid off the hooch, they might not have hired Phua Chu Kang to create their much-criticised, ungrammatical new slogan, “Let’s make everyday better.” Red faces all around at Singapore’s biggest telco and not just from inebriation. But I understand that for many, it’s difficult to say no to the joy juice — I mean, where is the alcohol equivalent to the nicotine patch? But you know what they say, when life gives you lemons, make lemonade. And when life takes away the alcohol, make a Shirley Temple. But beyond just the buzz, alcohol is also a vital social lubricant. It’s easier to make friends with a drink or two. I, too, have succumbed to peer pressure and even broken the law because of alcohol despite my abstinence. This happened many years ago when I was living in America. Like many Singaporeans, I grew up watching US movies and TV shows, but when I first went to the States to study, it was still a bit of a culture shock. And it’s not just how much cheese they eat. Despite what you may see in a Madonna video, Americans are surprisingly conservative about a lot of things, particularly booze. Remember Prohibition? That’s history, but they now have something called the open container law, which makes it illegal for you to walk down the street (or drive a car) with an open can of beer. You don’t even have to be drinking it. But then what are you doing with an open can of beer if you aren’t drinking it? No one warned me about this law. 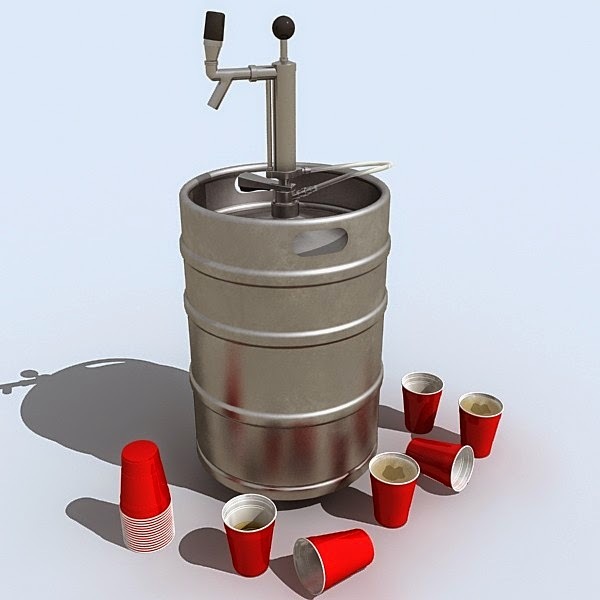 I once went to an off-campus kegger, which is a party where beer is dispensed from a small barrel or keg. Why did I go to a kegger even though I don’t drink? Because being a stranger in a strange land, I was desperate to make friends. Someone offered me beer in a plastic cup. I accepted it to fit in — it was a kegger after all — but I didn’t drink it. Since I didn’t know any better, I walked back to my dorm with the cup, hoping to give the beer to someone else and make more friends. After finding out about the law, I wondered whether I could’ve been arrested that night if a patrolling cop had spotted me with my “open container”. Another indication of how uptight Americans are about alcohol is the drinking age, which is 21 compared to 18 in Singapore. Because I went to college after my full-time national service, I was already 22 at the time, but most of my fellow freshmen were only 18. Underage drinking is rampant in US colleges and on at least one occasion, I facilitated it — I bought alcohol for a minor or two at their behest because I wanted to be their friend. So despite not touching the stuff, I could’ve already committed two alcohol-related offences. I hope the statutes of limitation have run out and I won't be extradited. But I’ve learnt my lesson and stopped relying on booze to make friends. That’s why I don’t have many friends in spite of my sparkling poisonality. But once you convert to teetotalism, you won’t need drinking buddies any more. And they will certainly have no use for you. That’s when you learn who your true friends are. Plus the money you save from not drinking will help pay for the increase in public transport fares. And you can thank the Liquor Control Bill for that.